Antonia graduated from the Royal Academy of Music with a First Class honours degree in 2015. Since then, she has been recipient of the Countess of Munster Award and a Chamber Music Fellow at the Academy. Antonia has won many prizes as a chamber musician with Trio Derazey, including the St Martin-in-the Field's chamber music competition, the Malta International Music Competition and she has won First Prize in the Verao Classico Festival in Portugal as a soloist. Antonia enjoys teaching her violin class at Brunel University and works as a freelance violinist playing for commercial recording sessions and for orchestras such as the London Concert Orchestra, Mozart Festival Orchestra and Aurora Orchestra. She is currently on trial for a principal position with the London Mozart Players. Antonia plays on a Francois Fent violin from Paris, circa 1780. 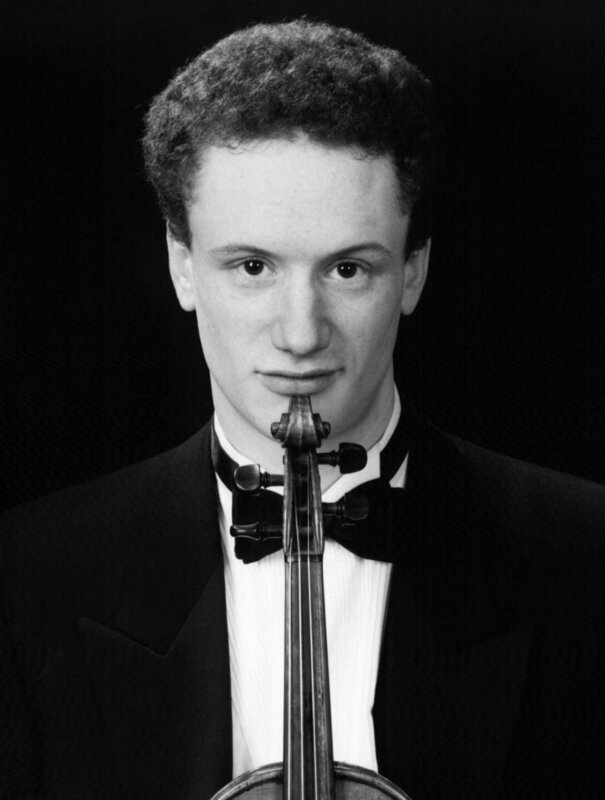 Edward studied violin with Rodney Friend and graduated from the Royal College of Music with an MMus in performance studies, concurrently obtaining a BSc with Joint Honours in Physics with Music from Imperial College London. He also studied viola with Amanda Denley at the Guildhall School of Music. Edward joined the first violin section of the orchestra of English National Opera, and the English Chamber Orchestra. Since then he has played much of the major operatic repertoire at ENO and the chamber and classical repertoire with ECO. He has continued to enjoy playing the viola regularly with the London Octave and enjoys exploring the chamber music repertoire. Mark studied at the Royal College of Music with Jonathan Barritt, graduating in July 2013. He also completed an Erasmus Exchange at the Academy of Performing Arts, Prague, where he took lessons with Czech violist Jan Peruška. Mark regularly performs with the Philharmonia Orchestra, City of Birmingham Symphony Orchestra, BBC Symphony Orchestra, London Philharmonic Orchestra, English National Opera, Welsh National Opera, Birmingham Royal Ballet Sinfonia, Ulster Orchestra, Bournemouth Symphony Orchestra, Royal Philharmonic Concert Orchestra, Royal Philharmonic Orchestra, London Concert Orchestra and Mozart Festival Orchestra. He often plays in the pit orchestra for Phantom of the Opera in London’s West End and worked with the Macao Orchestra in China in 2014. He has performed numerous concertos, including Telemann’s viola concerto with Solistes de musique ancienne, Mozart’s Sinfonia Concertante with Ensemble Lunaire and Siegfried Camerataand Britten’s Double Concerto with King’s Philharmonic. Cecilia graduated with a first class honours degree from the Royal Academy of Music in 2015, where she studied with Robert Cohen and Patrick Nunn. She has performed extensively across the UK and Europe, including at the Oslo Opera House, St Martin-in-the-Fields, the Wigmore Hall, the International House of Music in Moscow, Kings Place Festival and St John’s Smith Square, and has performed world and international premiers at festivals in Russia and Italy, as well as at the Aldeburgh Festival. She has been broadcast live on BBC Radio 3 during ‘Sound Frontiers’ Festival at the Southbank Centre, and was featured on Proms Extra in 2016 performing music by Gabriel Prokofiev, along with the composer himself. 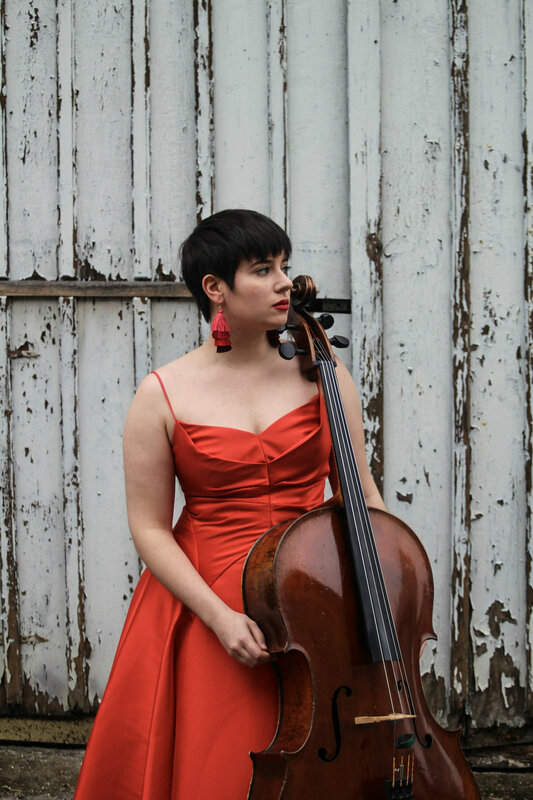 Cecilia regularly performs contemporary music and jazz, including improvisations with electronics, and has played with contemporary groups such as ensemble x.y and the Riot Ensemble, as well as in Aldeburgh as principle cello of the BPO under the baton of Oliver Knussen. Cecilia plays an 1855 Derazey cello. Mark started playing double bass at 13, after finding the guitar and bass guitar too easy to carry around. He studied for his undergraduate in his home town of Wellington, New Zealand, and then freelanced around the country for four years. While doing his Masters in the blistering heat of Sydney, he worked with many of Australia's top orchestras. In 2013 he moved to London to seek his fortune, and was a member of Southbank Sinfonia in 2014. He currently enjoys working in London's vibrant freelance scene, and has a varied career encompassing orchestral playing, chamber music, teaching and outreach. He spends his spare time reading and hanging out with his wife, a freelance cellist, and his cat, Romeo. German native Elisabeth Streichert is a soloist and chamber musician based in London. Elisabeth is a graduate of the Musikhochschule Lübeck in the class of Prof. Konstanze Eickhorst. She gained her masters at the Royal Academy of Music in the class of Ian Fountain, where she graduated with Distinction as well as being awarded the Andrew S Sykes Award. She is in demand throughout Europe as a piano recitalist and as a soloist with multiple orchestras in Germany and the UK, playing in venues such as Wigmore Hall, St-Martin-in-the-Fields, and the Laiszhalle Hamburg. As an active chamber musician, Elisabeth is a member of the Duo Isold with Icelandic cellist Guðný Jónasdóttir. She is also the curator and Atistic Director of the Phacelia Ensemble. With her love of transcriptions and modern music she is always on the lookout for new or unknown repertoire from all eras to include in her concert programmes. She is passionate about performing lesser known works in combination with the established classics.